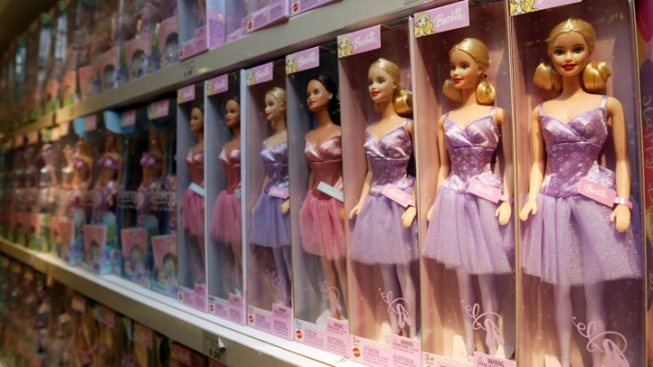 FILE - In this Monday, July 19, 2012, file photo, a line of Barbie dolls sit on the shelf, at the Toys 'R Us Times Square flagship store in New York. A Dora the Explorer guitar, dragster cars with small wheels and finger-fidget desktop magnets are among the toys that consumer advocates are warning about as the holiday buying season begins .In its annual "Trouble in Toyland" report, the U.S. Public Interest Research Group examined more than 200 toys on store shelves at major retailers and dollar stores and found about a dozen that could be dangerous to children. A Dora the Explorer guitar, dragster cars with small wheels and finger-fidget desktop magnets are among the toys that consumer advocates are warning about as the holiday buying season begins. 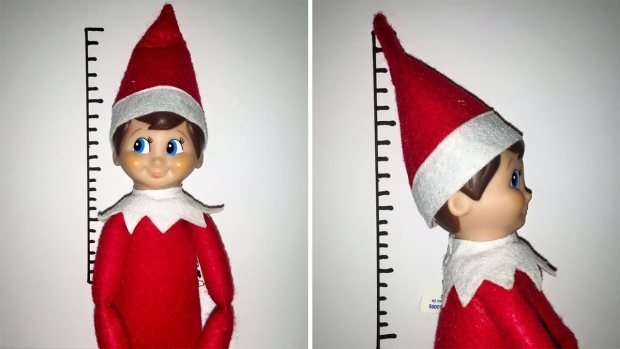 In its annual "Trouble in Toyland" report, the U.S. Public Interest Research Group examined more than 200 toys on store shelves at major retailers and dollar stores and found about a dozen that could be dangerous to children. The Dora guitar was too loud, the group said Tuesday, and tested slightly above the limit that hearing experts recommend. The dragster car had small rubber traction bands on the wheels that could be a choking hazard, and a too-tiny warning label. Compared to previous years, lead and other toxins were less a concern, thanks to a 2008 product safety law that ushered in stricter limits on metals and chemicals in toys. Instead, much of the focus was on small magnet toys and jewelry. PIRG cited government estimates of 1,700 emergency room visits between 2009 and 2011 involving the ingestion of high-powered magnets. Most of the cases involved children between 4 and 12 years old. Older children have accidentally ingested the balls while trying to mimic tongue piercings. The magnets, such as the ones in the popular Buckyball desktop toys, can cling together if swallowed, pinch internal tissue and lead to serious injuries. This summer, the Consumer Product Safety Commission sued New York-based Maxfield and Oberton, the maker of the Buckyball desktop toys, to stop their sale. The finger-play toys are designed for adults, but CPSC said it was seeing too many injuries involving children. Maxfield has maintained the toys are for adults, marketed to adults and carry clear warning labels — but it announced last month that it would stop making the Buckyball series. CPSC is considering a ban on similar magnet sets. PIRG found one toy that violated the new stricter lead limits. It found no toys or jewelry that exceeded the voluntary industry limits for cadmium. Both metals can delay brain development in children, leading to learning disabilities. PIRG also did not find phthalates — chemicals that are used to make plastic products softer but can cause health problems — above the federal standard in the toys it tested.